TGIF. 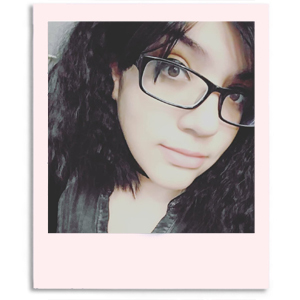 I have such a long over due post today that it's actually really embarrassing to think about. Cheyenne from CDB Nails is one of my very close friends and it's become tradition to do bestie nails for each others birthdays. She had it done and ready for my birthday three weeks ago... I, on the other hand, kept forgetting and so here we are three weeks later. At least I finally got them done before my next birthday so that's got to count for something, haha. I'm definitely keeping this one all weekend long since I love how it turned out. Such a simple design to accomplish, but it's so eye-catching and gets a lot of compliments. I was going to do a tutorial for you guys, but I felt I didn't get a home-run with the rose so I opted out. The base I used for this mani is the satin Rowen from Zoya and the rest was created using acrylic paint. Cheyenne always does such an amazing job with her freehand art. I totally need to practice my roses! Such a simple thing took me way longer than it should of. And blending... I must learn to blend! Haha. Practice makes perfect after all. Do you guys have any freehand tips? Let me know down in the comments. these are adorable. I still can't believe that I've never done leopard-print nails. Really?! Wow, I can't believe that either. I think it's one of my most common prints I do. Cute idea! I should do this with my polish bestie! Yes, please do! It's such a simple and cute design, except for that rose haha. So cute! I love leopard print! I've never tried to do a freehand rose. Too intimidating! Yeah it was definitely not as easy as I thought it would be. Haha. Lesson learned! Wow! Both of these are stunning! You did an amazing job! Thanks a lot, I'm glad you like it. Love that addition of the rose!! This is so cute! 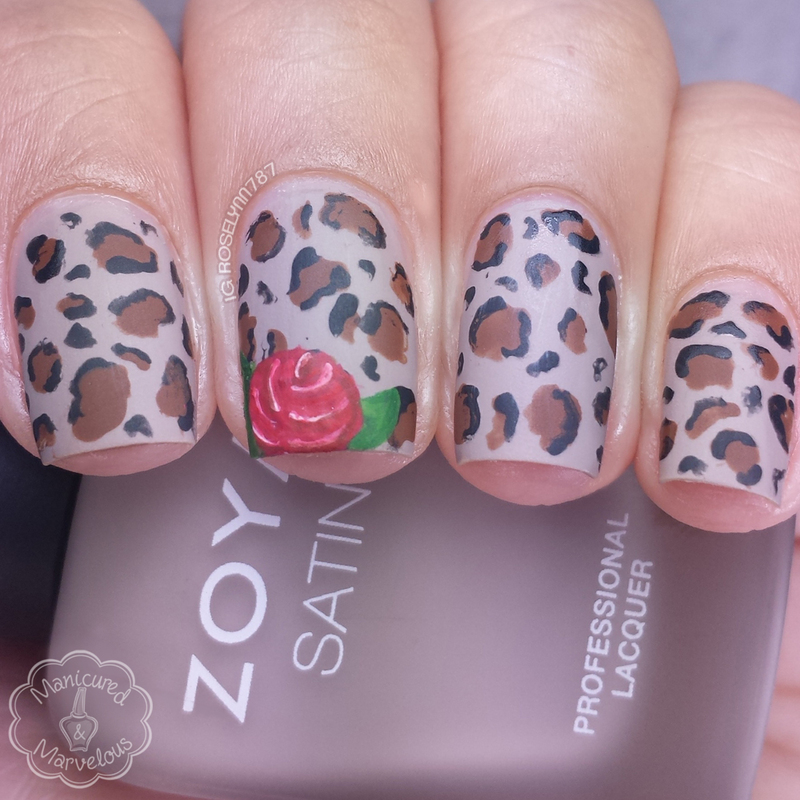 I love the bright colors of the rose over the neutral leopard! 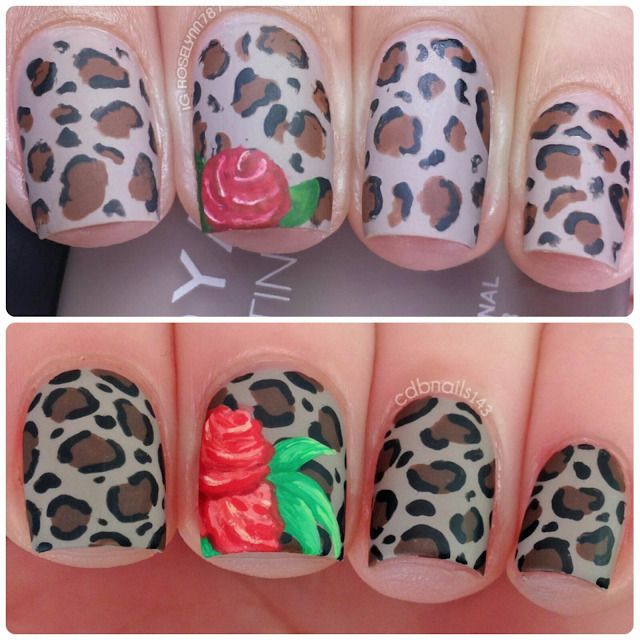 These are beautiful and I think your freehanding is just fine, the rose came out very pretty! Love these! You both did an amazing job! You both did such a wonderful job! Love that you matted them! I really like this and it looks so pretty matte..love it! These are so so pretty! 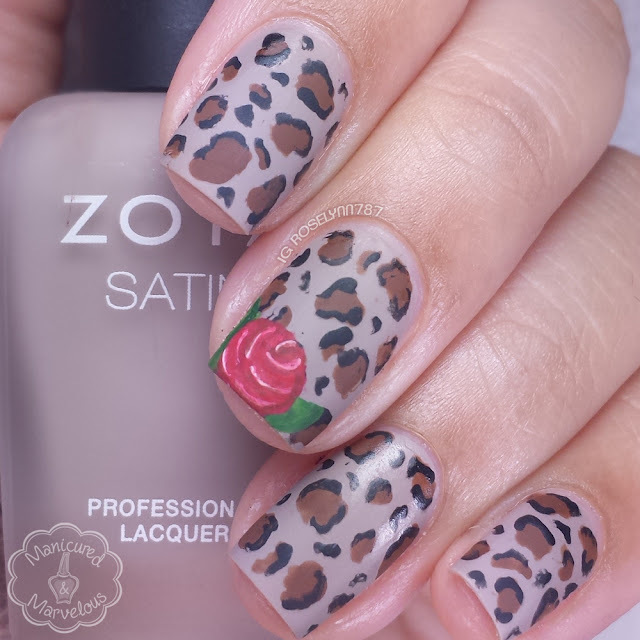 I never would have thought of combining a leopard print with a rose, it looks amazing! These are beautiful matte! Oh freehand....How I wish I could freehand like some people I see.